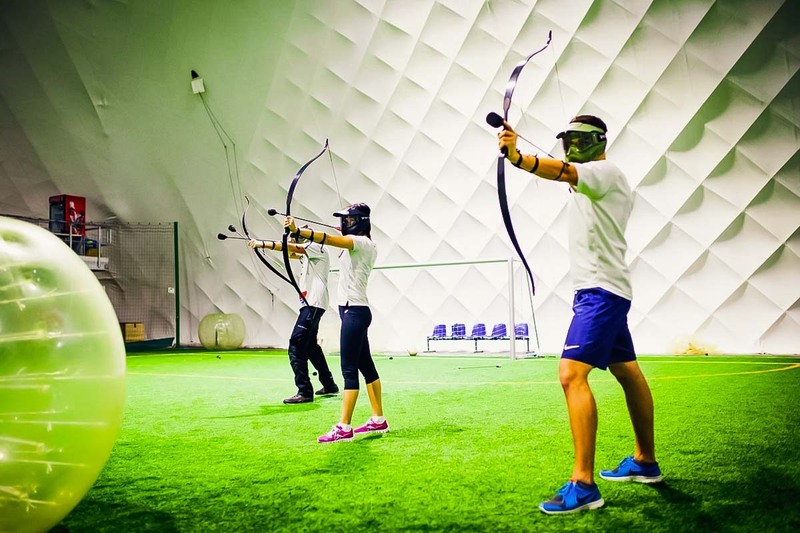 Archery Tag or Arrow Tag is an excellent action game, which has been taking the world by storm. It’s available in a number of countries around the world and now also in Poland. 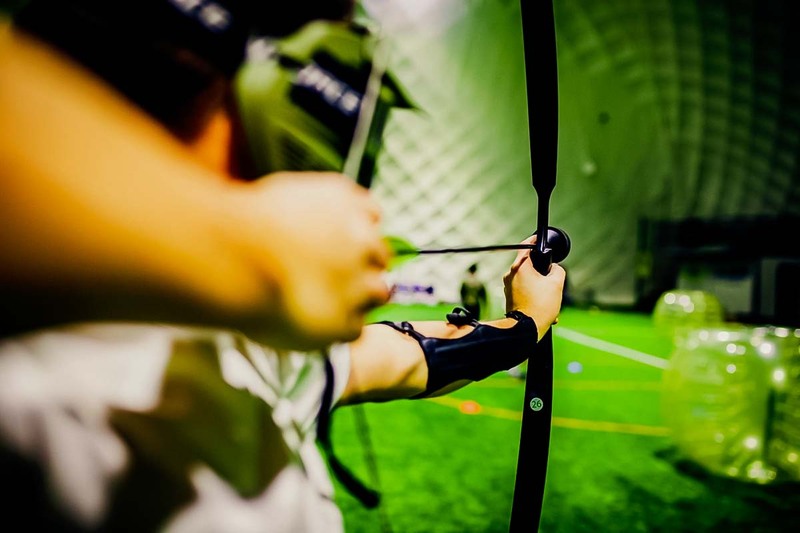 Want to feel like a medieval archer and hunt down your mates with a bow and an arrow? Look no further. 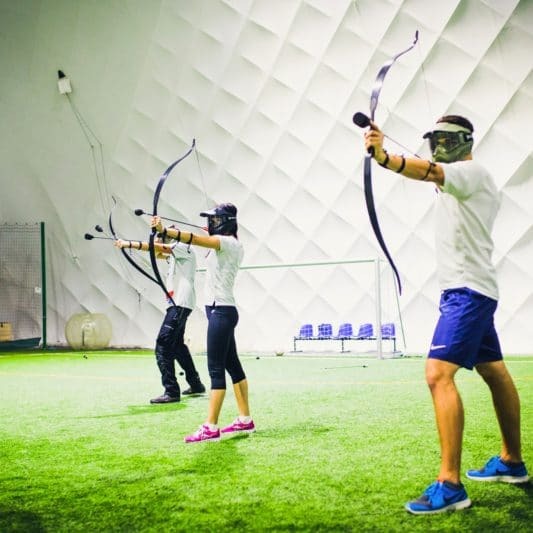 The arrows are completely safe and we will also teach you how to operate the bow in no time! The optimal number of participants in each game is 12, but any group can participate. The contestants are situated on the opposite sides of the pitch, which is divided by a “safe zone”. The objective is to eliminate all of your opponents either by hitting them with your arrow or knocking out all the discs of the opponent’s shield. 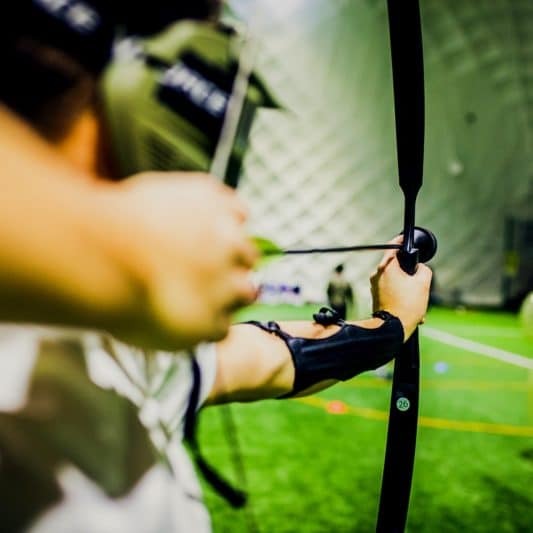 You will be given 12 Archery Tag bows along with 48 Archery Tag arrows (fast and standard) which give you 4 arrows per player when playing with 12 players. 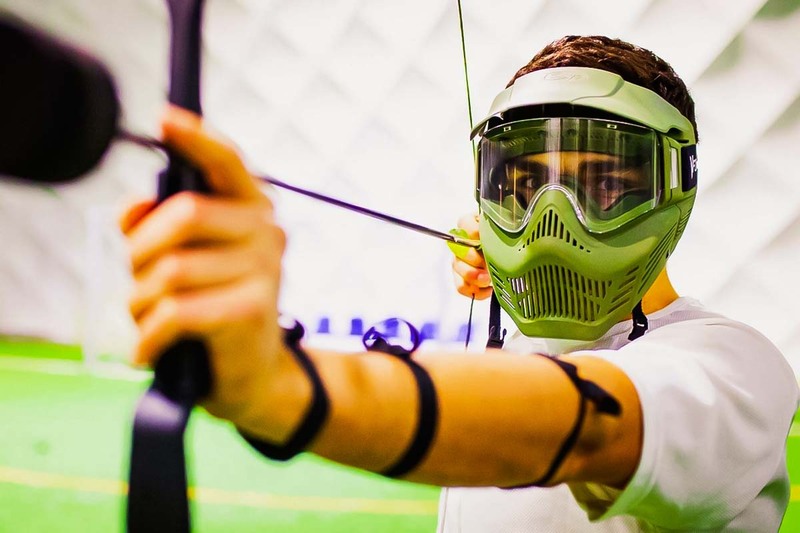 The 6 inflatable obstacles will allow you to take cover from enemy fire and the protectors for your fingers and forearms will come in handy for the more clumsy players. Protective masks will allow spectacular, but harmless headshots. 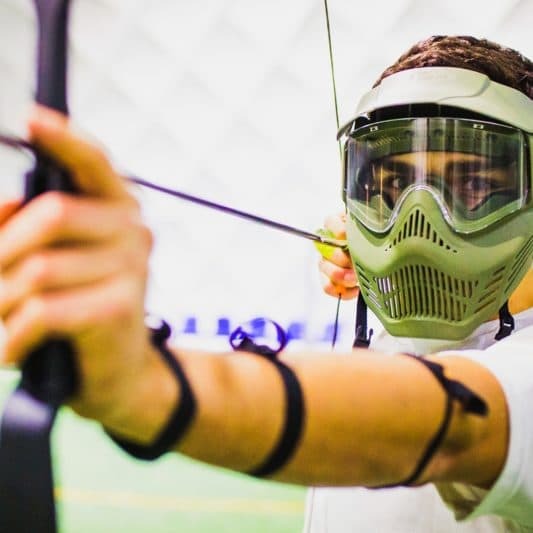 We will get the equipment ready for you, teach you how to use it along with tips and shooting techniques. The fun is completed with a referee and event animator. In the location of the activity: Wrocław Oplympic Stadium.